On behalf of Admin of JML Law, A Professional Law Corporation posted in Car Accident on Monday, Nov 26 2018. Let’s admit it. Everyone has been guilty of distracted driving at least once in our lives. Some of us admit to it, while others don’t. But statistics never lie, and this is evident from the number of distracted driving-related accidents in the United States. Fact: Up to 20 percent of all fatal car crashes in our nation are caused by distracted driving. Many of us have a hard time focusing on the road, while others underestimate the dangers and risks of distracted driving. More often than not, distracted driving involves a driver using his or her smartphone, but using a smartphone while operating a motor vehicle is not the only form of distracted driving. Eating, drinking, switching a radio station, navigating the GPS system, securing children and pets inside the vehicle, and engaging in a variety of other activities that prevent you from fully devoting your attention to driving are just as common. 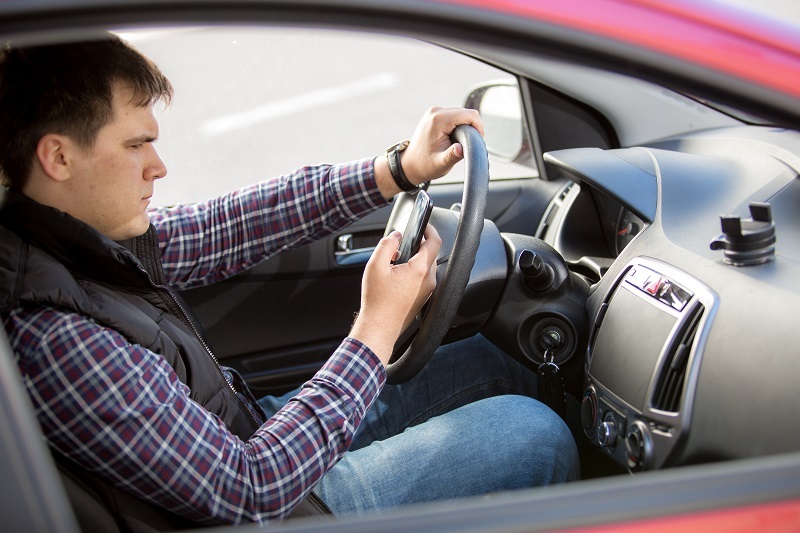 Given that we seem to have the distracted driving epidemic in this country, we decided to invite our car accident lawyer Los Angeles from JML Law to outline tips on how to avoid distracted driving. If you truly want to stay safe while operating a vehicle and avoid using a cell phone while driving, you will need to implement a new rule in your life: use your phone for emergency situations only. If you get a text message that can wait, ignore it. If you get an Instagram, Facebook, or Twitter notification about alike, comment, or retweet, check it later. “Even when making a phone call for emergency purposes, it is highly advised to pull over safely to the right shoulder, and only then make the call,” says our Los Angeles car accident attorney at JML Law. One of the leading causes of distracted driving, besides using a cell phone, is drowsiness. A rule of thumb is that sleep-deprived, exhausted, and drowsy drivers are more likely to get distracted and are less likely to stay focused on the road throughout the trip. Also, there is a risk of falling asleep behind the wheel of your vehicle. Limit the number of passengers in your vehicle, or at least keep the level of activity inside the car under control. Passengers inside your vehicle can be a major distraction, especially when you are friends with these passengers. In fact, in most states, teenagers in their early months of driving are legally prohibited from driving with teenage passengers in the car. Why? Because teenage drivers, especially those with little to no experience driving a vehicle, are focused on their friends more than on the road. As difficult as it may sound, you have to avoid eating while driving at all cost. I get it, you have not eaten for a while and these four slices of pizza on the passenger seat are too tempting to resist, and you are super busy to pull over and eat like a normal human being (instead of having to eat while driving), but biting, chewing, and food spills can be a major cause of distraction, which may lead to a fatal car crash. Best car accident attorneys in California from our top car accident lawyer Los Angeles law firm also advise you to make adjustments before you start your engine. Many people think they can get away with adjusting vehicle systems like GPS, mirrors, climate control, and seats while driving, but it is highly advised that you make these adjustments before embarking on your trip. This could save your life and the lives of your family members. Being late for work is no excuse to be finishing dressing and personal grooming while operating your vehicle. Dressing and personal grooming are demanding tasks that require your full attention. After all, none of us wants to look like a mess at a business meeting, so we would rather be looking at ourselves in the rear-view mirror than focusing on the road to get that makeup right or make our hair look exactly as we love it. As you can see, it is not that difficult to reduce your risk of getting into a car crash caused by distracted driving. Of course, there is no way you can make all the surrounding drivers to keep their eyes focused on the road at all times, but you know what they say: the change starts with you. Schedule a free consultation with our top car accident lawyers in Los Angeles at JML Law to speak about your case. Just because you were distracted at the time of the crash, and another person(s) was hurt in the accident, it does not necessarily mean that you will not be able to seek financial compensation for your own injuries and damages. Call our offices at 818-610-8800 today.